Psychrotrophic Bacteria in Foods: Disease and Spoilage presents a comprehensive review of psychrotrophic bacteria and other pathogens and their role in causing food spoilage in refrigerated and frozen foods. The book focuses on the growth, survival, and subsequent activity of these organisms, especially in meat and poultry products. Metabolic products of bacterial growth in foods as indicators of spoilage are described. The book also discusses the potential microbiological hazard posed to "new generation" minimally processed refrigerated foods. 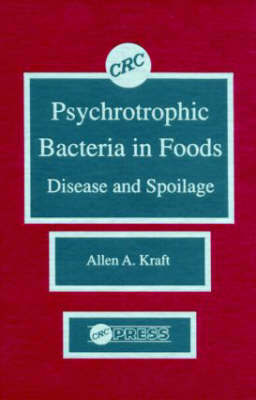 Psychrotrophic Bacteria in Foods: Disease and Spoilage is an informative reference for food microbiologists and other food scientists working in industry and academia. It will also be useful to researchers and personnel in regulatory agencies.